Sword Art Online: Ordinal Scale Home Video Release Details. Coming to Limited Collector's Edition and standard DVD on 28th May 2018. The answer to that question is simple – right here, right now! We know that many of you loved getting to see this breath-taking film on the big screen last year and are just dying to enjoy the film again in the comfort of your living room, and you’ll be able to do just that from Monday, 28th May 2018 as we bring Sword Art Online the Movie: Ordinal Scale to the UK on Limited Collector’s Edition Blu-ray/DVD, as well as via Standard Edition Blu-ray and DVD editions. Needless to say it’s the Collector’s Edition where the magic happens, so our main focus here will be giving you a first look at what to expect from this release when you add it to your growing Sword Art Online collection. First however, let’s get some housekeeping out of the way and remind you what the film is all about. Synopsis: “The NerveGear, the world’s first dedicated full-dive device developed by the genius programmer, Akihiko Kayaba in 2022…a revolutionary machine that opened up infinite possibilities for the world of VR (Virtual Reality). WHAT’S PLANNED FOR OUR COLLECTOR’s EDITION? As noted above, we’ll be releasing Ordinal Scale as a Limited Collector’s Edition Blu-ray/DVD combo set, so let’s take a look at what our package will contain. Let’s start with the gorgeous rigid box for the film, which uses a foil finish effect applied to certain parts of the artwork and design to give an eye-catching style to the release that’ll look beautiful in your hand or on a shelf. Within that box, you’ll find a digipak adorned with striking artwork featuring a number of core characters from the film, which is of course used to store the film itself in both DVD and Blu-ray formats. Both discs contain the main feature with both English and Japanese 5.1 audio together with English subtitles. 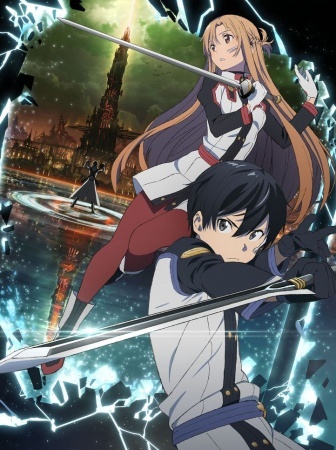 The Blu-ray disc also contains a number of extras including a subtitled commentary track featuring the film’s director, Tomohiko Ito, and the Japanese voice actors for the characters of Asuna and Kirito, Haruka Tomatsu and Yoshitsugu Matsuoka respectively, as well as trailers for the movie and an Ordinal Scale edition of the show’s regular Sword Art OFFline feature. Also inside you’ll find a set of five art cards, each of which provides you with one of the film’s key visuals to make full use of all of the artwork at our disposal. Last but certainly not least, we’ve compiled a wealth of information, content and artwork to produce a 60-page book – within these pages you’ll find a breakdown of the Sword Art Online story so far, information about the new technology that sits at the heart of Ordinal Scale‘s story, a wealth of character and setting information and artwork, in-depth character profiles for some of the major players in the film, and a comprehensive gallery of illustrations used to promote the film in Japan and beyond. It’s as comprehensive a record of all things Ordinal Scale as you could possibly hope for. 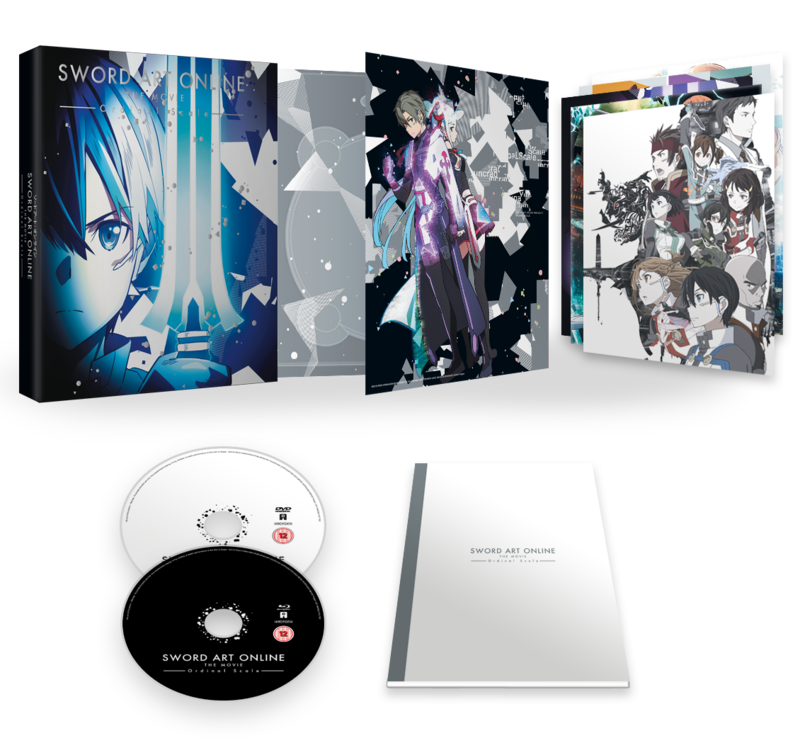 We’ll be taking orders for all of our editions of Sword Art Online the Movie: Ordinal Scale via our AllTheAnime.com web shop closer to its release date, but for now you can find our product listings to bookmark and return to below. So there you have it – the wait is almost over, and Sword Art Online the Movie: Ordinal Scale is on the brink of arriving on UK home video! As mentioned, you’ll be able to pick up your copy from Monday, 28th May 2018 – order your copy today, or keep your eyes peeled for AllTheAnime.com web shop pre-orders to open over the coming weeks. You really should sort out your pricing. If you want people to buy directly from you it makes sense not to be more expensive than Amazon. The Collectors edition on your store is labeled at £34.99 yet Amazon UK have had the price at £22.99 for ages now. I can think of many more examples where there’s quite the difference between yourselves and Amazon. Thus, it’s safe to say that you’ll be able to pre-order the product from our online store at a lower price than the SRP once we open it up to pre-orders, and needless to say we pay close attention to other retailers when pricing products on our shop.